Rock and roll never forgets. Rory Gallagher, the late Irish blues guitar great, died too young, but not without leaving a legion of fans worldwide â and over 20 million albums sold. His fiery guitar work rivaled that of contemporaries Eric Clapton and Jimi Hendrix, putting his country on the R&B map at the height of the troubles in Northern Ireland. A crack group of New York City and Irish musicians rocked the legendary Bottom Line at a tribute performance to celebrate Roryâs life and work, and the stunning night was captured like lightning in a bottle. 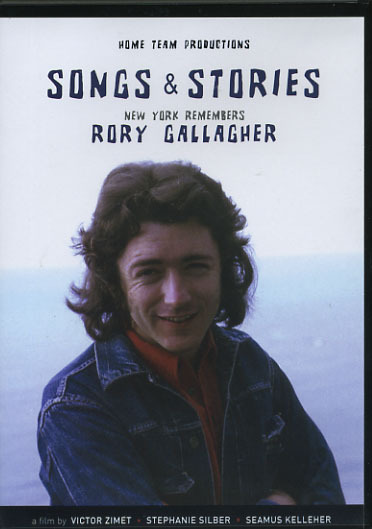 This is Roryâs story, told through his songs and the memories of those who loved and were inspired by him. By turns raw, hard-driving, euphoric and tender, the musicians channeled Rory that night. His potent legacy sprang back to life, in a glorious convergence of songs and stories.